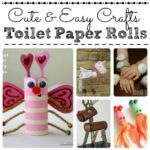 As you know, we do really LOVE Easy Toilet Paper Roll Crafts for Kids. 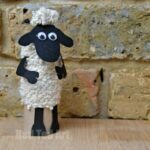 That is because Toilet Paper Rolls are a plenty and oh so surprisingly versatile. 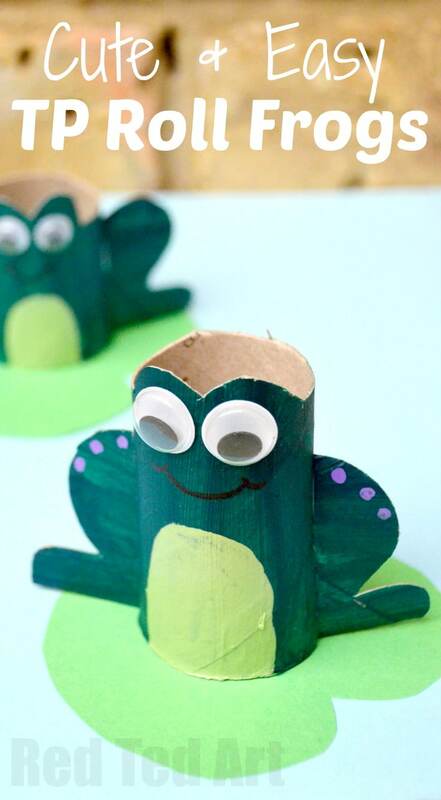 So as our love affair with this humble craft material continues, we share with you today the Toilet Paper Roll Frog Craft! 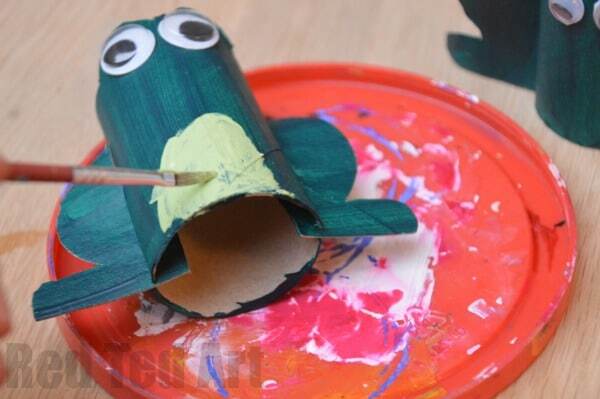 A perfect little TP Roll Craft for Spring. 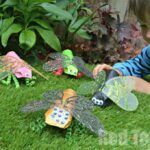 We have a whole fantastic set of TP Roll Animal Crafts to share with you soon, including our Toilet Paper Roll Koala, and my favourite the TP Roll Dragonflies. Keep an eye out for those! 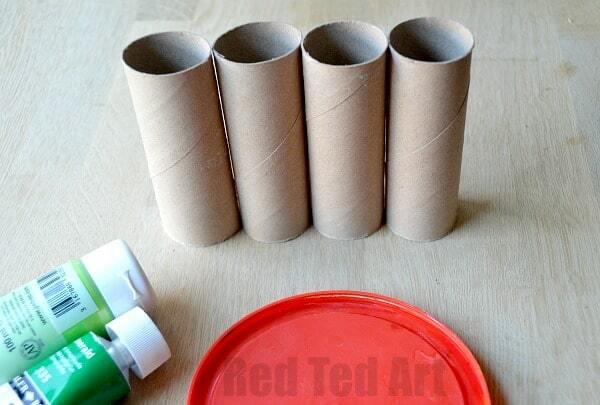 The key thing to remember when craft with TP Rolls, is that there are lots of different ways to use it. 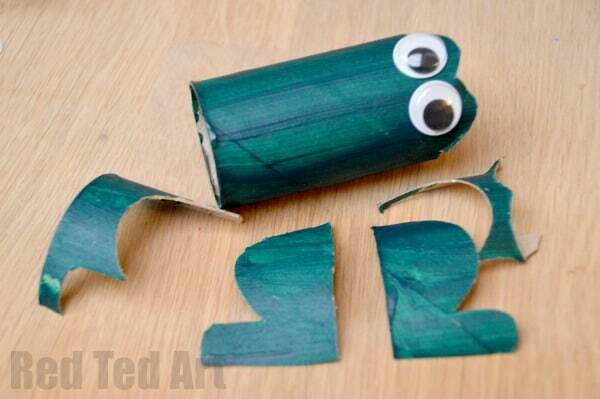 You can stick things on, you can cut things out and use them as flaps, you can stick tip rolls together or you can cut them up into little pieces and then stick them back together again. You can add sticks as legs or have animals with “no legs” that still look cute. 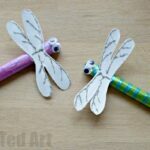 You can connect to marionettes, or keep them simple as one tp roll wonders. 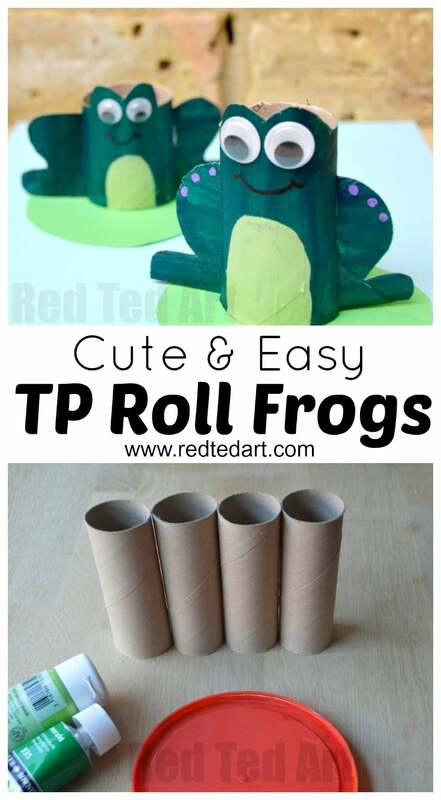 The TP Roll Frogs are an example of how you can parts out and slot them together again – of course, you could have made the legs in a similar way to the pop out ears of the elephant.. but it is nice to see “different” ways of creating your animals. 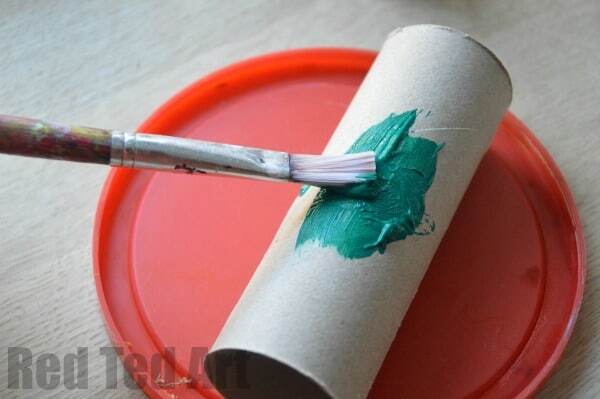 Paint your TP Roll in your desired colour and let dry. This time we actually glued the eyes first – as we wanted to use these googly shape to shape the top of the head. For the big frog, we placed them about 2/3s of the way up. For the little frog in the bottom half. 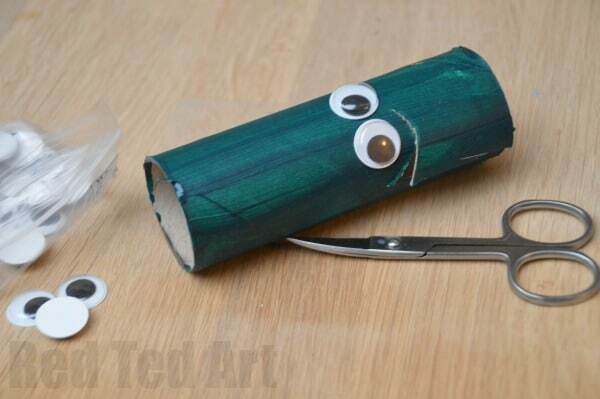 Carefully cut around the TP roll creating big bumps of the eyes. 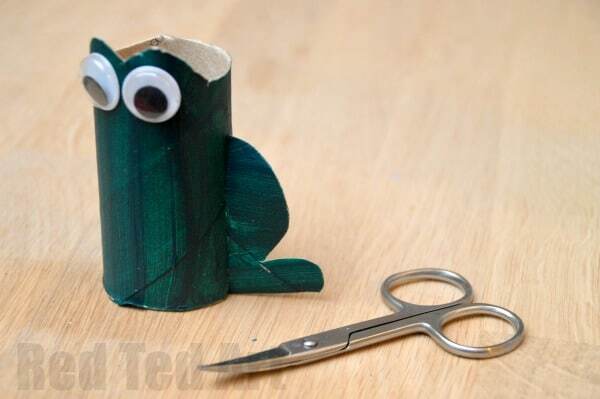 Be careful how you cut the “waste” part of your frog, as you will need this bit for the legs. 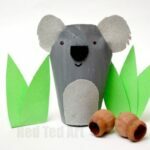 Take the “waste pieces” and cut out two legs – cut on leg first, lay it face down and use it as a template for the second. Remember you need “mirror” images for the legs. Then cut a slot in the top of the leg and a slot at the bottom side of the frog and lot your leg in place. Repeat on the other side. Time to add your final details – we used paint for tummy and “dots”. But you could use some light coloured paper to add a tummy feature. 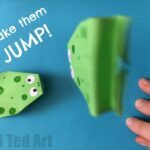 Finally give the frog a big smile with your pen. 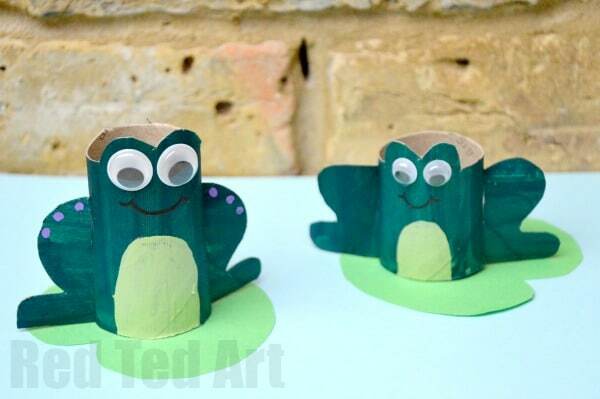 Your Toilet Paper Frogs are DONE! 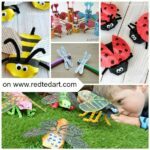 As you know we are a GREAT fan of Toilet Paper Roll Crafts for Kids – and have MANY MORE easy TP Roll crafts and ideas for you here – grouped into handy categories for easy browsing! 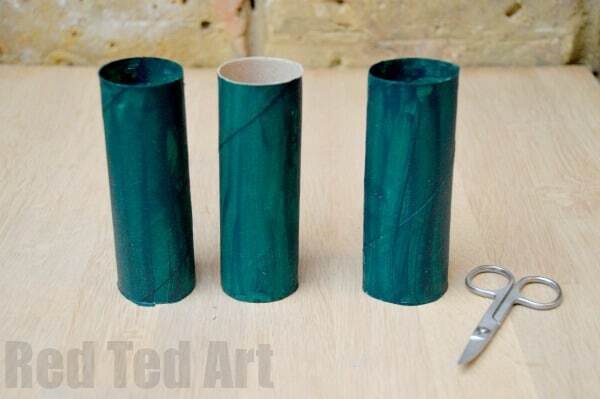 I like the idea of using toilet paper rolls for crafting. 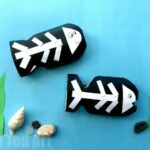 It’s amazing, how many cute things can be done with the help of this material.